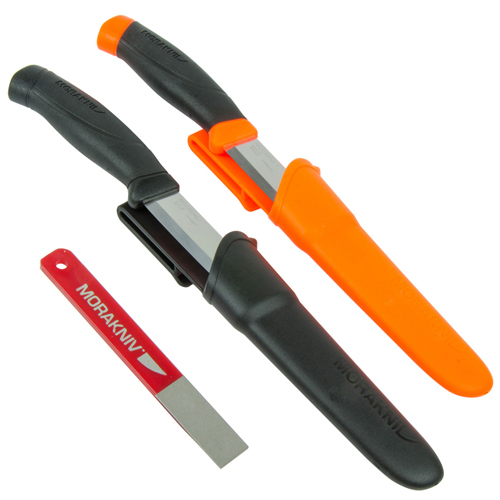 The Morakniv Outdoor Set includes 2 Companion knives and a sharpener. All Mora knives are made in Sweden and feature the highest quality swedish made steel. This set is perfect for an avid outdoorsman and offers a large savings over buying each knife seperately.